Journalist and former civil rights lawyer Alia Malek and NU-Q Professor Sam Meekings shared their latest published works with the community at two book readings. “Book readings on campus are of great value as they contribute to the intellectual and academic life of an institution and help to bring together a community of readers. The Liberal Arts Program was very pleased to be able to introduce these authors and their works and provide an opportunity for discussion and exchange of ideas,” Hariclea Zengos, senior associate dean and the director of the NU-Q Liberal Arts Program, said. 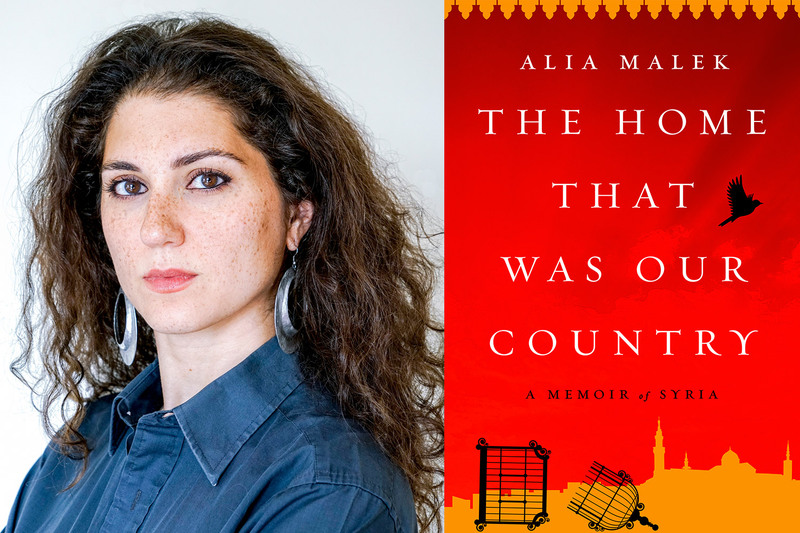 Malek narrated key passages from her book “The Home That Was Our Country: A Memoir of Syria,” which sheds light on the complexity of the Syrian civil war through the lens of life in a Damascus neighborhood. Malek, who said that her book is “a personal history but also a sociopolitical history of Syria,” was inspired to write it at the beginning of the Arab Spring. "There was a lot of journalism being produced in the region, and I knew, quite frankly, that I could do a better job than most international papers," she said. The reading was hosted at the library by the NU-Q Liberal Arts Program and facilitated by Sami Hermez, assistant professor in residence. 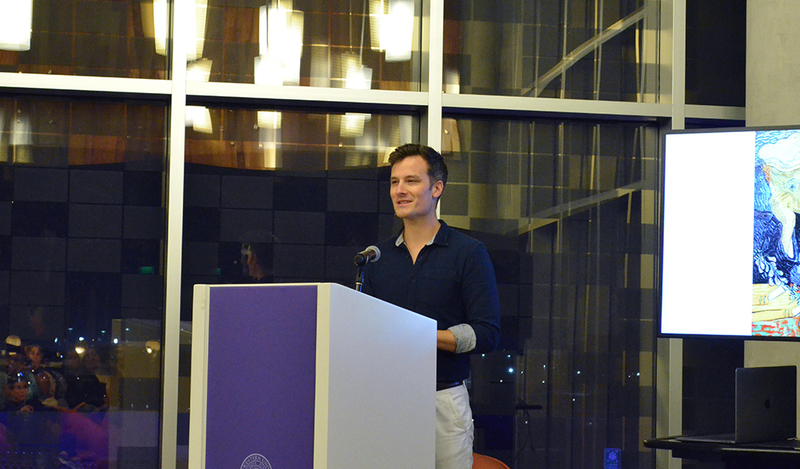 At another session, NU-Q Professor Sam Meekings, shared his book of historical fiction, “The Afterlives of Doctor Gachet,” which uncovers the story behind the famous portrait by the artist Vincent Van Gogh that depicts Van Gogh’s personal doctor Paul Gachet. Sam Meekings, assistant professor in residence in the Liberal Arts Program. “When I first saw the painting, I was struck by the power of the doctor’s expression, and I really wanted to find out what had happened in his life that had made this man so melancholy, so heartbroken,” said Meekings, an assistant professor in the Liberal Arts Program. At NU-Q, Meekings explained how the novel traces the painting's ownership -- from fashionable Parisian salons to the bunkers of confiscated “degenerate” art in Nazi Germany, and finally, to its mysterious disappearance with a reclusive billionaire in Tokyo. In March, NU-Q will host Palestinian-American novelist Hala Alyan, author of “Salt Houses,” which was selected for the One Book, One NU-Q program this year. Alyan will deliver a community-wide lecture and meet with students about the novel, winner of the Dayton Literary Peace Prize and the Arab-American Book Award.